The University of New Brunswick has received a $24.87-million investment towards the Centre for Healthy Living from the Government of Canada and the Province of New Brunswick. This investment will support a green facility providing research and teaching space for the Faculty of Kinesiology, a recognized leader in research and knowledge mobilization in healthy living and health promotion strategies. The Centre for Healthy Living will be adjacent to the Richard J. CURRIE CENTER with a connection that will provide a direct link to the Andrew and Marjorie McCain Human Performance Lab. This will create a nationally significant and innovative research cluster focused on health, wellness, physical fitness and health promotion that will establish New Brunswick as a leader in preventative healthcare. 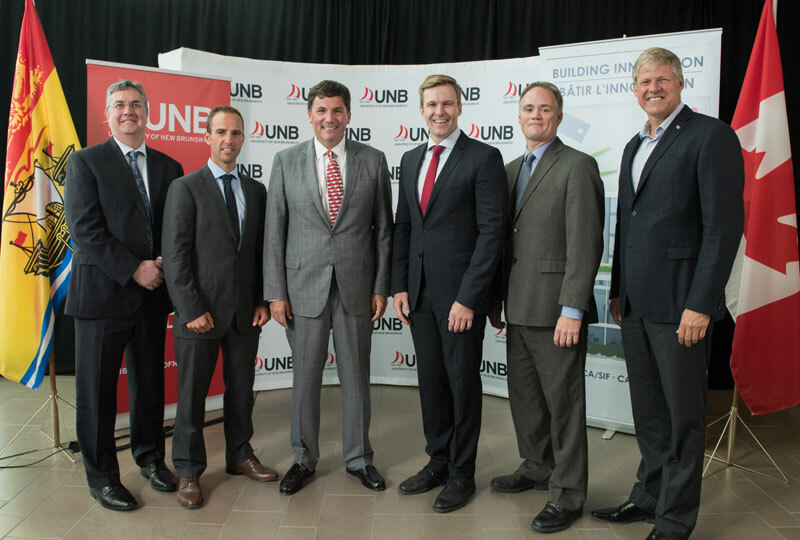 The funding was announced by the Honourable Dominic LeBlanc, Minister of Fisheries, Oceans and the Canadian Coast Guard, on behalf of the Honourable Navdeep Bains, Minister of Innovation, Science and Economic Development, the Honourable Brian Gallant, Premier of New Brunswick, and Dr. Eddy Campbell, UNB President and Vice-Chancellor. Of the $24.87 million in funding being invested, $16.59 million is federal and $8.2 million is provincial. The university is responsible for the remaining $11.1 million. Federal funding for the Centre for Healthy Living will be allocated through the Post-Secondary Institutions Strategic Investment Fund, a program which will provide up to $2 billion over the next three years to enhance and modernize research facilities on Canadian campuses and improve the environmental sustainability of these facilities. This 60,000-square-foot facility has been a long-standing priority at the University of New Brunswick and matches the Strategic Investment Fund’s focus on research and innovation. As a result of the investment, students, professors and researchers will work in state-of-the-art facilities that advance the country’s best research, work in specially designed spaces that support lifelong learning and skills training, and work collaboratively with partners to foster creativity and innovation.